This is a very cool project from Tom - K5TRA. Attached are some photos of my (just completed) Christmas toy, an Allstar web transceiver. Complete with DTMF mic, just plug-in power and network and it functions just like a radio transceiver. audio PA, and one of my regulator/fan control boards. 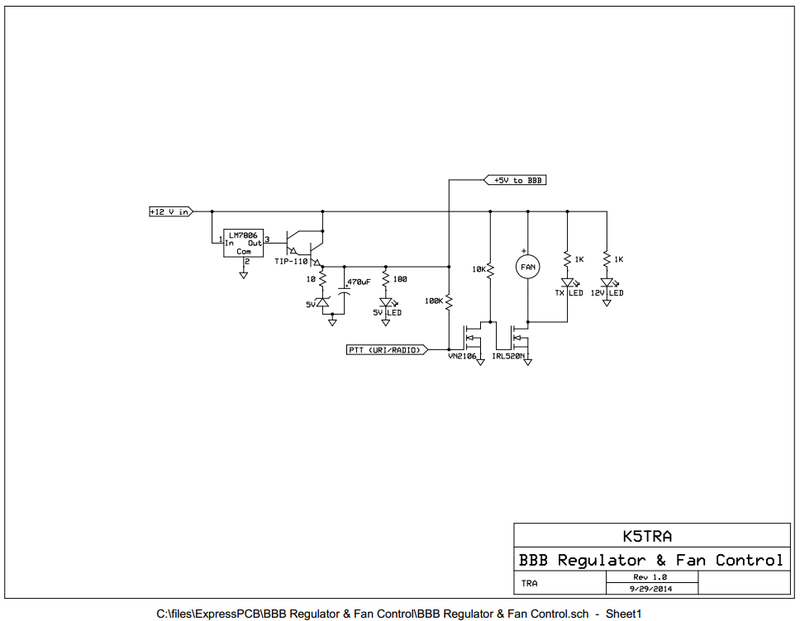 Attached is the schematic for the regulator/fan board. In this application, I’m only using the regulator and LED driver (no fan). I used SMD to mod the FOB and tacked the leads to the back of the FOB board with a hot glue gun. I used a 1&7/8” Green-lee punch to make the speaker hole in the enclosure. I found the speaker grill on eBay. The enclosure is a Hammond 1454N ($20.76 from Mouser). The front panel LEDs are TX, RX, and HB (heartbeat). The mic PTT line pulls the FOB COS line (SMD diode to pin48 of CM108) low to key. 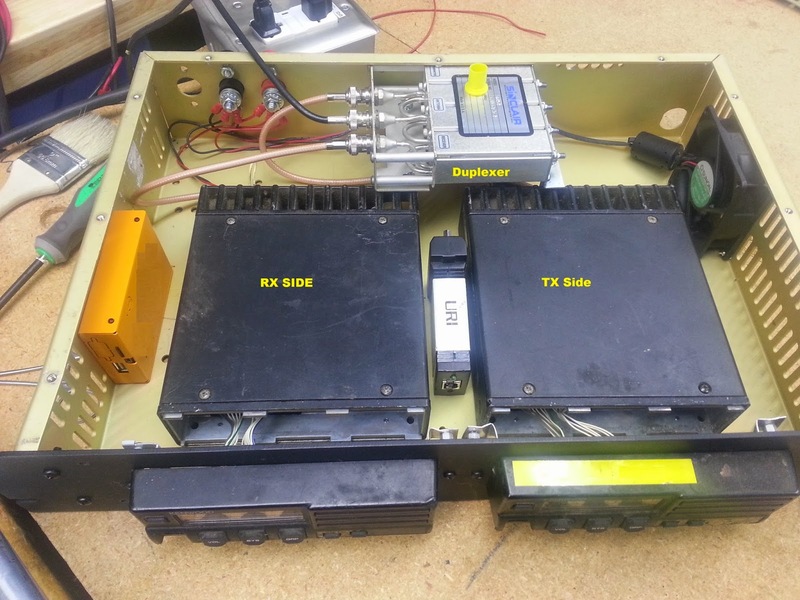 This repeater has been on the build table for a couple of years now. I wired up the power distribution and the fan. I also laid out the proposed controller equipment locations to decide where that stuff should go. it could be a 20 watt power house at 927 Mhz. (800 Mhz) LTR trunked LMR radios but hey it is a hobby and I don't care if it is wide band (5 Khz) or narrow-band (2.5Khz)at 900 MHZ since we hams can do what we want and I use what I have. I actually set the TX deviation to be narrow-band anyhow just to play nice with others. These 800 Mhz radios are a dime a dozen anyhow and they convert up to (902/927) just fine. Besides KØXM and I have a "few" of these in the "warehouse" anyhow! controller and a DMK Universal Radio Interface (URI). 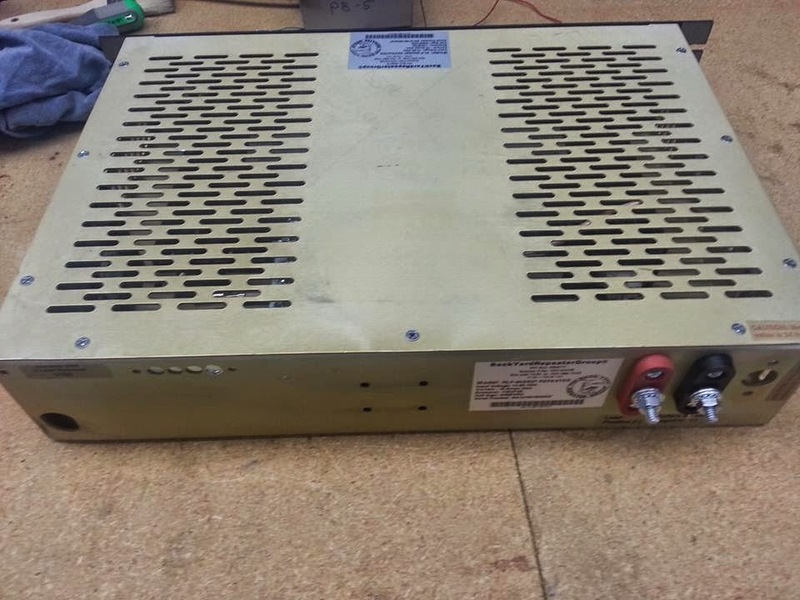 The system cabinet is a scratch and dent blemished Duracomm RLP power supply chassis. 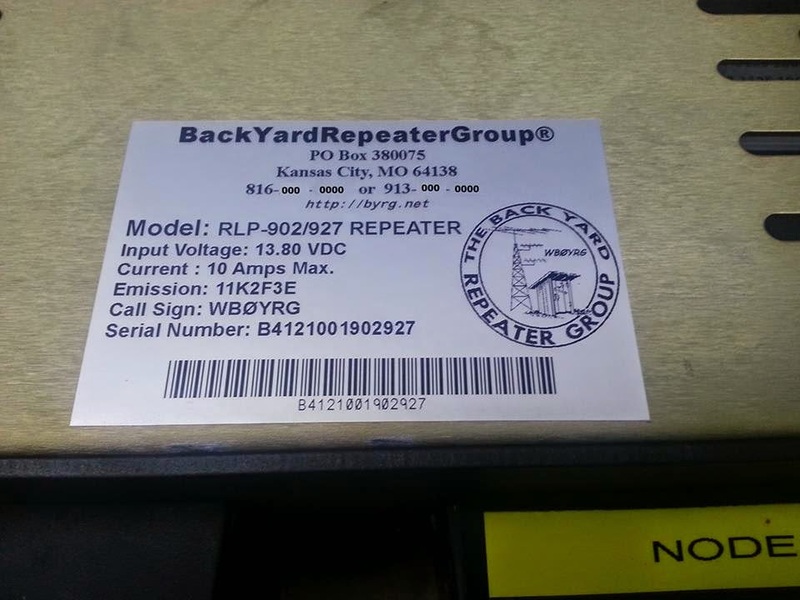 to lay out the repeater. It is 2U high and about 16 inches deep and 17 inches wide. Even now has a official serial number label! 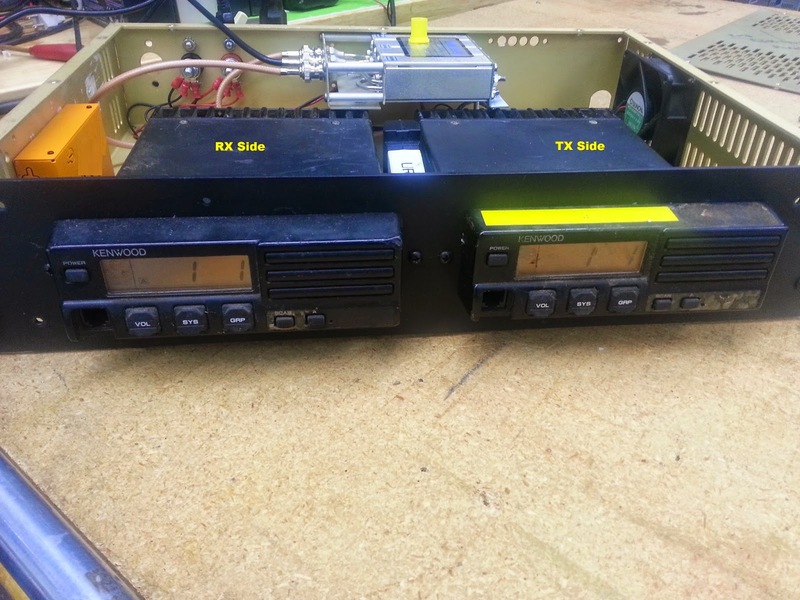 Check out this web page on other Kenwood 902/927 Mhz conversions.